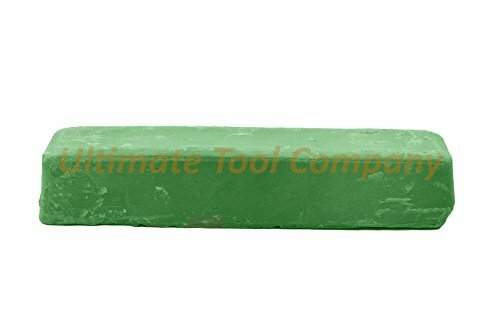 (1) 2lb Green Polishing Compound Universal One-Step Aluminum Stainless Steel by UTC at Designers Artists. MPN: unknown. Hurry! Limited time offer. Offer valid only while supplies last. This green rouge polishing compound is the most universal typical rouge;used to restore the shinefrom your metals. For polishing: aluminum, stainless steel, brass, copper, silver, platinum, nickel, iron and wood. This compound is also commonly used for bringing out a high luster on metals and wood. This Green compound is a step to leaving a mirror like finish. If you have any questions about this product by UTC, contact us by completing and submitting the form below. If you are looking for a specif part number, please include it with your message.